Thank you to all CBBC members who attended the election and monthly meeting! Thank You Covered Bridges Riders and Volunteers! 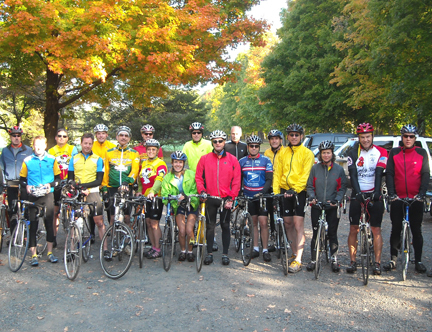 Our annual Covered Bridges Ride was a great success! 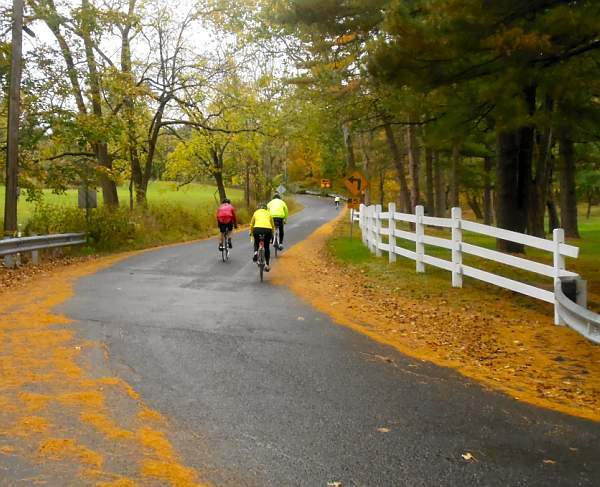 With 1,400 riders, 100+ volunteers, and the support of local municipalities, valued bike shop partners, our caterer Hatboro Dish, and other vendors, everyone enjoyed a cool Fall day with beautiful scenery and five great ride options. Photos of the event are available from Blue Stem Light Photography. 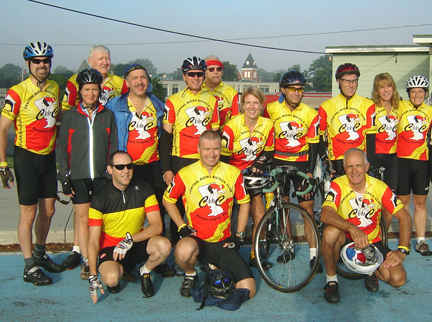 Mark your calendars now for our 39th Annual Covered Bridges Ride, scheduled for Sunday, October 13, 2019. 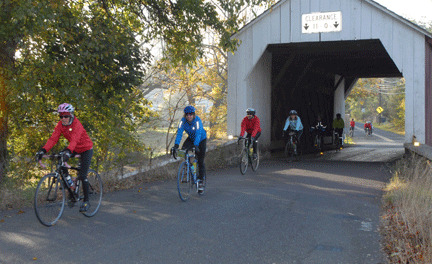 Register now for CBBC's annual Covered Bridges Ride on Sunday, October 13, 2019. Choose from the family-friendly 20- and 30-mile rides (best suited for hybrid or mountain bikes) or challenge yourself on a hilly ride of 33, 50 or 63 miles. 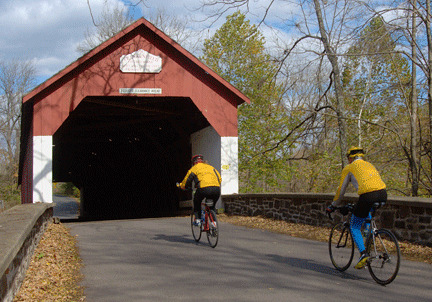 Visit up to six historic covered bridges during the fall foliage of beautiful Bucks County. Register early to save the most! Great news--you can now join the club or renew your membership right here on our site. No fees. No third parties. No emailed ads or spam. Renewals are done through CBBC’s secure site. 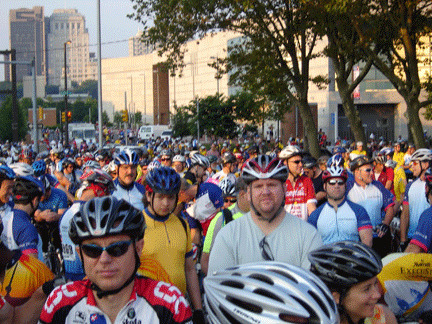 Your membership fee of just $2 a month (just $1.75 if you renew for 3 years) supports tons of member benefits, including a robust website where you can post and view our Forum and ride offerings, our InGear newsletter, supplemental insurance for club members, an appreciation program for the ride leaders who make our rides happen, facility rental and food for summer all-level rides, safety class reimbursement and much more. Be sure to renew on time so you can join club rides and maintain access to post rides and post messages to the Forum. Log in to the site before proceeding with your renewal. If you’ve never logged in before, go to Member Login under Member Access menu and Request a login. February is the month memberships expire; see the address panel of your InGear newsletter to see what year yours expires. Renewal options are under the Join/Renew tab. Save a stamp and lots of time--renew online today!